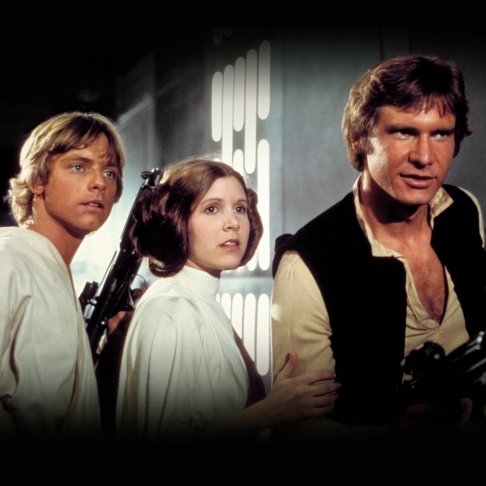 The MSO will feel the force this February when it presents the Australian premiere of Star Wars: A New Hope in Concert. Experience the Orchestra performing John Williams’ Oscar-winning score performed live to the iconic film, conducted by MSO’s Associate Conductor Benjamin Northey. It’s been 40 years since Luke Skywalker began a journey that would change the galaxy, as he leaves his home planet, battles the evil Empire, and learns the ways of a Jedi. Nineteen years after the formation of the Empire, Luke Skywalker is thrust into the struggle of the Rebel Alliance when he meets Obi-Wan Kenobi, who has lived for years in seclusion on the desert planet of Tatooine. Obi-Wan begins Luke’s Jedi training as Luke joins him on a daring mission to rescue the beautiful Rebel leader Princess Leia from the clutches of the evil Empire. Although (spoiler alert!) Obi-Wan sacrifices himself in a lightsaber duel with Darth Vader, his former apprentice, Luke proves that the Force is with him by destroying the Empire’s dreaded Death Star. Learn more about the music of Star Wars when Dr Dan Golding and Andrew Pogson from The Art of the Score podcast are joined on stage by MSO Associate Conductor, Ben Northey, to discuss the John Williams’ score which changed the trajectory of film music forever. Star Wars — Film Concert Series is produced under license by Disney Concerts in association with 20th Century Fox and Warner/Chappell Music. STAR WARS and related properties are trademarks and/or copyrights, in the United States and other countries, of Lucasfilm Ltd. and/or its affiliates. © & TM Lucasfilm Ltd. ©2017 & TM LUCASFILM LTD. ALL RIGHTS RESERVED ©Disney.